Will the BPO industry survive the automation tide? Automation and robotics are changing the way we live and work. The pace at which automation is replacing human effort in Business Process Outsourcing (BPO) and Information Technology Enabled Services (ITES) firms, indicates that the gap between the digital-physical divide will be bridged significantly in the coming years, impacting human lives and industries. Today, more than 50% of BPO engagements are merely replicating client processes, but at lower costs. But in today’s fast-paced, technologically-disrupted environment, BPOs might find that their conventional methods have become obsolete. For end-clients, automation of processes plays a critical role in selecting a BPO service provider. In the manufacturing industry, robots have replaced conventional human workers that perform repetitive tasks. Meanwhile, software automation is replacing various repetitive tasks previously handled by BPO back-offices. For example, processes involving simple data movement, checking, validation, and aggregation can be automated to reduce errors. Automation ensures minimal errors and better compliance, superior job satisfaction (by eliminating repetitive work), advanced analytical insights, and timely delivery of work. According to an industry survey, Robotic Process Automation (RPA) is widely used in the IT and F&A processes of the BPO sector. However, automation in the BPO and ITES sectors in India has come at a price. While the sector may benefit from faster turnaround times, higher efficiency and accuracy, it is cutting down on jobs and talent acquisition in the BPO sector at a larger level. A new wave of Robotic Process Automation (RPA) is affecting the back office outsourcing ecosystem worldwide. Mature BPO service providers across the globe are automating back office work for cost optimization and better efficiency. However, the ever-increasing complexity of RPA in the BPO domain is now expanding the virtual workforce. RPA can increase efficiency in a cost-effective manner and with increased accuracy, which could soon replace labor-intensive back office functions. As automation software gets sharper and cleverer with more processes being automated, the economies of scale that give BPO providers their price advantage would quickly get eroded. 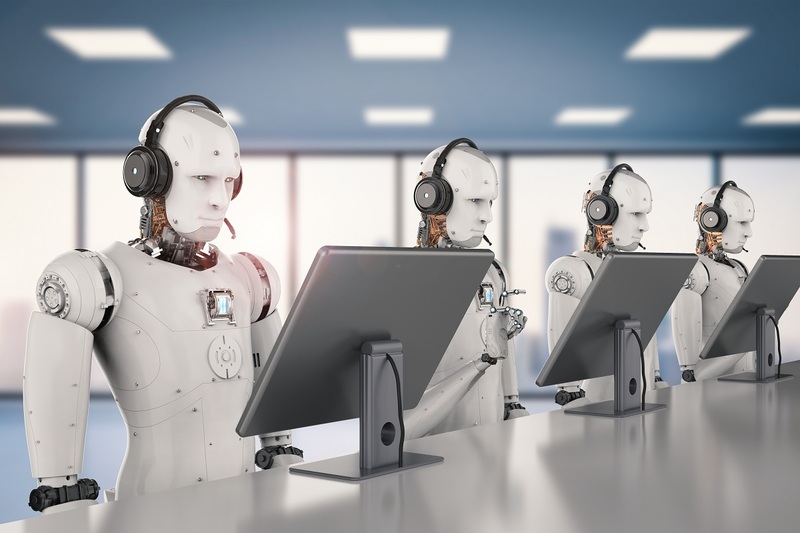 By deploying RPA, multiple organizations will no longer need to outsource their back office or customer call center operations, thanks to chat-bots and self-help apps that answer customer queries with minimal human interaction. According to Gartner, about 85% of customer relationship management is expected to be automated without human interaction by 2020. Various large-sized, administrative client-facing organizations are also mulling over what comes after outsourcing. Triggered by the technological advancements in RPA, the BPO sector is expected to evolve in the most interesting manner. Various client organizations would take a Do It Yourself (DIY) approach to manage and automate their processes – it would be more like Bring Your Own Robot (BYOR) than BPO. The only way to survival is to adapt according to the evolving client needs that require human intervention, such as social media monitoring, analytics, and marketing. The Indian BPO industry is currently in the discovery phase, conducting ‘proof of concept’ exercises with new technologies that might help them evolve. Progressive BPO service providers are considering migrating from multichannel to omnichannel platforms and are designing automated platforms driven by artificial intelligence to handle repetitive processes and activities of call centers. Omnichannel platforms allow for more customer touch-points, including voice chat, online chat, mobile, social, chat bots and others, thereby, increasing customer satisfaction. The next big change that we would see with the increasing adoption of RPA is the redefinition of ‘talent’. What was once all about domain skills and resolving current problems, is now starting to shift to a softer description i.e. deciphering customers’ requirements, deducing the next problem and resolving them. This will be possible through the use of big data analytics, enabled by RPA. In this changing paradigm, BPO service providers need to differentiate their offerings in order to add value. In conclusion, BPO or BPM companies of the future might have more robots than people. Currently standing at the inflection point, the strategy devised and adopted by various industry leaders will determine the fate of the BPO sector. It could either plunge towards its own destruction or emerge as a product of business innovation. Ultimately, RPA should not be seen as a slaughterer, but as the next upgrade of the BPO sector. Just like video did not kill radio, but only changed the way viewers consumed content, the BPO industry is at cross roads – exploring new innovations driven by RPA and analytics and poised to give a new growth path to the industry.